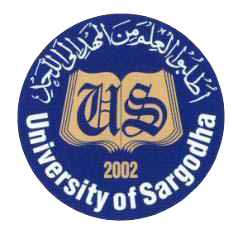 Sargodha, University of Sargodha has issued the admission schedule for the undergraduate and graduate programs for the annual system for affiliated colleges for session 2018-19. The candidates will send their application forms by the closing date of 03-12-2018. The candidates will have to deposit the university dues from 05-12-2018. The candidates will note the dates for submission of forms with regular fee and with extra charges falling in different categories, which are given in this schedule. The candidates will note the rates of the admission fee of different classes and programs and they will deposit the respective dues. The students will read the instructions and note the terms and conditions at the time of submission of the admission forms.